Coca-Cola is not having a good year. Diet Coke sales have fallen worldwide. Shares of Coke (KO) are down so far in 2015 while the broader market -- and top rivals Pepsi (PEP) and Dr Pepper Snapple (DPS) -- are both up. And now Coke has a new problem. The two companies that Coke has agreed to invest in -- Keurig Green Mountain and Monster Beverage -- have both tanked this week following disappointing earnings. Keurig Green Mountain (GMCR) plunged 9% on Thursday and the K-Cup maker's CEO admitted that consumers are not in love with the company's newest machine. Shares of energy drink maker Monster Beverage (MNST) sank 9% Friday after the company reported profits that missed forecasts. It didn't help that Goldman Sachs downgraded the stock following the results. This is not a good sign for Coke. 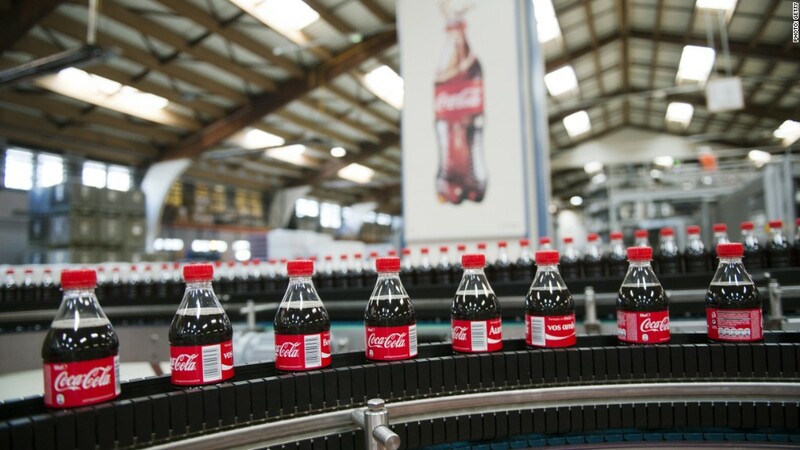 One of the main criticisms of Coke is that it has not done enough to expand into more rapidly growing parts of the food and beverage business. Pepsi, for example, has a thriving snack business. Both Pepsi and Coke are trying to do more with bottled water and tea. But coffee and energy drinks are two beverage categories that seemed to be particularly good areas for Coke to target. That's why Coke initially bought a 10% stake in Keurig last year and subsequently upped its stake to 16%. Coke also made a deal to buy 17% of Monster's stock. That transaction is set to close sometime this quarter. Now Coke investors have to be concerned that maybe the company got into both investments too late. Keurig has to find a way to win back customers who were angered by the company's decision to force people to only use Keurig-licensed K-Cups in its latest machine. There is a big market for cheaper private label single-cup coffee pods that wouldn't work on the new Keurig brewers. It's also worth wondering if Coke's partnership with Keurig to start selling a carbonated beverage machine called Kold later this year will pan out or not. The other company already in the DIY cola market, SodaStream (SODA), just reported dismal sales. Making your own soda at home may be a fad that has already peaked. 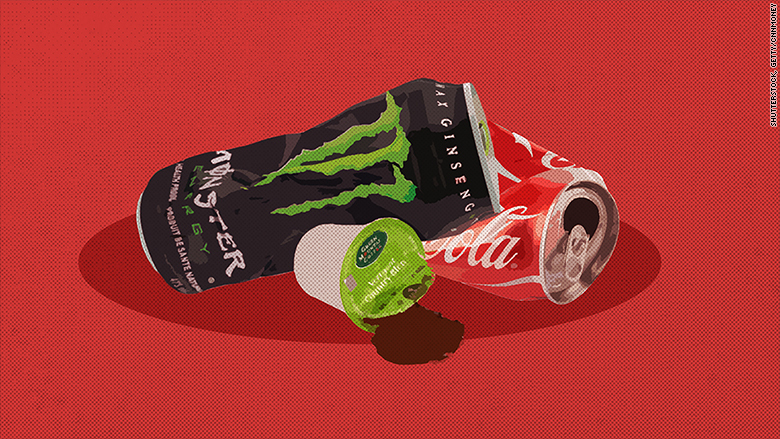 Meanwhile at Monster, Coke is partly to blame for its poor earnings in the past quarter. Monster is shifting its distribution to Coke and was forced to take a $206 million termination charge to end partnerships with other third-party distributors. There are also concerns that revenue growth is slowing. Monster's CEO said during a conference call with analysts Thursday that competitors Red Bull and Rockstar are gaining market share in the energy drink market. It's possible that the trend could reverse now that Monster has the backing of Coke and its global distribution machine. But if Monster loses more market share, that's a problem. Coke can't continue to grow if its investments in new categories wind up being a flop. It's all well and good that Berkshire Hathaway chairman Warren Buffett joked at his company's annual shareholder meeting last weekend that he's "one-quarter Coke." But the Oracle of Omaha is 84 years old. Ask a millennial or a Gen Xer how much Coke (or Sprite) they drink. I can assure you it's not nearly as much as what Buffett consumes.